Nopixgo is a breakthrough electronic hi-tech wristband, invented and produced in Switzerland. It emits very weak eletromagnetic signals and fields which keep mosquitoes from biting. The revolutionary WeatherSimTech mimics the natural electromagnetic signatures of thunderstorms. Mosquitos are genetically programmed to seek shelter when they sense an approaching storm and the instinct to protect themselves overrides the instinct to bite. Without nasty chemicals, it is harmless for humans and animals, and a comfortable simple natural solution to protect you from mosquito bites. This technology is very different from anything that is on the market so far. The wristband is comfortable to wear. It is adjustable and fit adults and children. We use the same high-quality materials as leading watchmakers use here in Switzerland. Once charged (one full charge takes max. 1 hour) via Micro USB the built-in battery lasts for several days (3-7 days depending on surrounding temperatures). Furthermore, the electronics are protected against splashes of water - the housing is melted in place using ultrasonic welding and the USB connector is rated as waterproof. Nopixgo® provides you with great protection without emitting any noises, odors or sticky fluids. The signals sent out by the wristband are not affected by any weather conditions like wind or rain - you can enjoy the bite reduction effect while being outdoors also in very humid or rainy conditions. For mosquitoes the strong winds and rain that are coming with an approaching thunderstorm are life-threatening. A thunderstorm’s atmospheric discharges generate electromagnetic waves and fields that mosquitoes can detect from a very long distance away. These natural environmental stimuli are transmitted through the sensilla (hair-like sensory organ) to the mosquito 'brain' (ganglion). The instinct rooted in the DNA triggers a natural protection reaction. Unlike chemical stimuli, mosquitoes cannot get used to or adapt to stimuli that trigger functions deeply rooted in their DNA. Nopixgo® imitates these weak natural signals, and by triggering the natural self-preservation instincts in mosquitos, the effect is a clear reduction of mosquito bites without the use of chemicals. The emitted waves and signals are certified and proven harmless to humans and animals. The emitted signal is more the more than 100 times weaker compared to those sent out by normal smartphones. 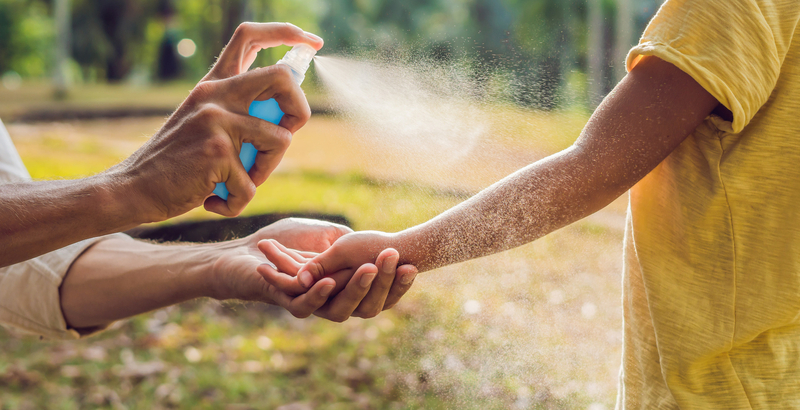 While different types of sounds and ultrasonic signals are proven to have no real effect on reducing mosquito bites, the strong pesticide DEET (diethyltoluamide) chemical is proven to be a relatively effective solution so far. The team's goal is to make this technology available even to the poorest people in the world - to give them the same chance to avoid these deadly diseases.